This is going to be a short post, as I just wanted to show off some card illustration and UI design. Below is my current design for a Monster card, complete with the first piece of art I've received for HeroCraft. 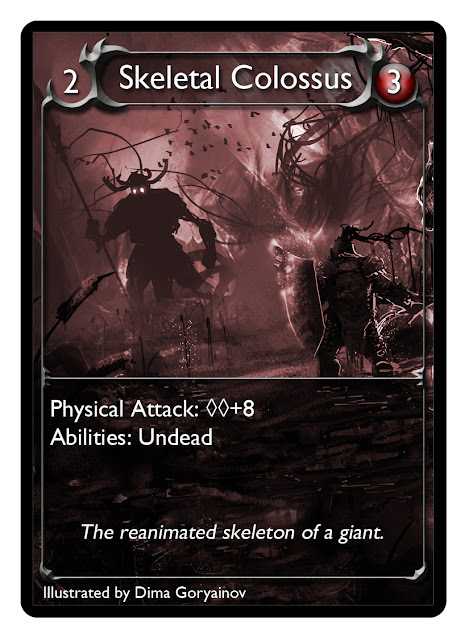 While the illustration was created merely to show off the style, I thought it fit well enough for the Skeletal Colossus to use as an example (he'll get his own art in due time).